TechCrunch Disrupt hosts an event called Startup Battlefield at its conferences where startups sign up to pitch their business ideas on a stage in front of venture capitalinvestors, media and other interested parties for prize money and publicity. Hundreds of blockchain entrepreneurs, investors, bitcoin mine operators, traders, and legal taxation experts from China and the U.S. are expected to attend and it will provide a great opportunity for peer-to-peer networking and exploring investment, business and collaborations between the U.S. and China. This event is one of the most prominent blockchain events and conferences of 2018. Connected World is a 2 day Festival of Connected Technology, uniting over 2,500 industry leaders, tech innovators, decision makers and investors. The 2nd edition of BlockBali conference will connect global blockchain gurus and technology players with Indonesian business leaders. It will discuss the opportunities in blockchain & cryptocurrencies in Indonesia & also lay the foundation for Indonesia becoming ASEAN biggest blockchain market. How will you benifit from BolttCoin? A Sports & Fitness Ecosystem based on Verified User controlled & User generated health Data. Earn BolttCoins by taking steps & winning step based Challenges.The Boltt Coin App leads you to a healthier lifestyle by rewarding you for being more active. Monetise your health & fitness data via Blockchain and "Proof of Steps". As a business, you can increase customer acquisition by rewarding your consumers for better health. This can be done by running health & fitness challenges & incentivising users with BOLTT Tokens. A complete 360 degree ecosystem to track, analyse & monetise your health. It includes a range of wearable products & mobile solutions to measure perosnal health & physical activity.Gamification & Health linked challenges drive users to 'move' and be more active. An In App Marketplace & Wallet to redeem Boltt Tokens provides instant gratification. The ecosystem unleashes the power of ownership of personal health data. Unlock the true potential of health & fitness data using Blockchain. Boltt understands that staying active & motivated is not always easy. This is why, the Boltt Ecosystem rewards your efforts & lets you earn tokens for every step you take! The Tokens can be used to enjoy a plethora of lifestyle benefits. It will provide a higher level of security and privacy and available on demand. By gearing towards a decentralised Health, Retail, & Financial Ecosystem, Boltt is effectively attacking a huge potential demand. The addressable market overlaps between Mobile Health, Gaming, Ecommerce, Payments and Loyalty. Boltt uses Blockchain to revolutionalize these industries and is thus catering to a 1.3 Trillion Dollar market opportunity. By utilizing shared ledgers, smart contracts and cryptographic encryption, Boltt is able to eliminate the intermediaries throughout its ecosystem while ensuring trust, security, transparency, immutability, and auditability across the value chain. Players are able participate without being dependent on host decisions, financial regulations, and middleman controls. Boltt challenges aim to eliminate the need to trust hosts running centralized platforms. The Health ID uses Blockchain to keep all the health identification data of the users safe. Blockchai embeds rules via smart contracts to control access to sensitive health data. Users can specify who should be given access to such data. The Boltt Decentralized Marketplace rests upon many fundamental pillars of the blockchain. One of the most important one is the safety and security. As long as the blockchain is operative, the data on it is always accessible. The P2P nature of the blockchain does away with the need for any intermediaries to facilitate transactions. Transaction cost on the Boltt platform is even less than 0.1% of the transaction value, which is significantly lower compared to centralized payment methods such as PayPal or credit cards. Smart contracts provide the foundation for digitization and automation for business processes. Global level of physical inactivity ranges from 30% to as high as 70% & more than 5.3 million deaths would be avoided each year if all inactive people exercised! This solution caters to several use cases like business, retailers, insurance, health & fitness services etc. 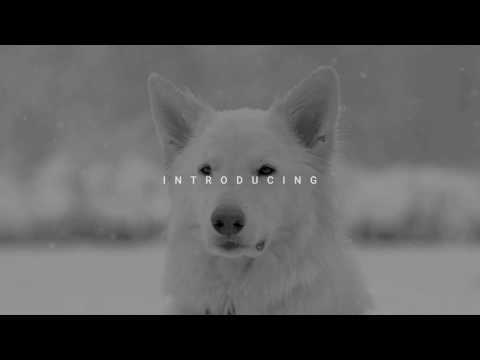 This is a unique platform that goes viral amongst communities. The addressable market overlaps between mobile Health, Retail, Ecommerce, Payments & Loyalty. The Boltt team consists of industry and business veterans. The advisory board consists of reputed experts in the Blockchain and Cryptocurrency. The Boltt Platform includes Health Tracking, Step Challenges, Product marketplace, Mobile wallet & health & fitness services.It is a 360 degree solution. The Boltt Platform MVP already consists of 25K+ Retailers and 1 Mn+ Products. It also has strong corporate brands and partners onboarded. Boltt is a 2+ year old company and possess the speed, vision, partner ecosystem, network and infrastructure that is required to rapidly scale globally. Millions of users will earn BolttCoins by taking steps. Corporates and brands will buy BOLTT Coins to sponsor Step challenges for their community. More users will lead to More Steps which will lead to More Demand. Boltt has a Limited Token Supply, which will exhaust Step based mining in less than 2 years! Thereafter as Users walk, BOLTT's ecosystem value will increase. BolttCoin originated from our currently working business boltt.com, which we’ve been running for three years. Boltt is market leader in the Mobile Health & Wearable-Tech space. Impressive lineup of AI Ecosystem combined with wearables, is next thing to watch out for! 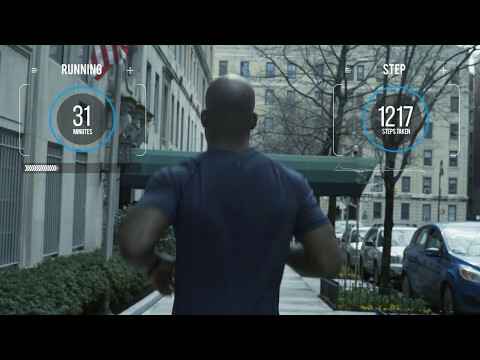 Here's the startup that wants to show Fitbit, Under Armour and rest how it is done. It's exciting and futuristic, Boltt App gives corrective feedback than others in the market. 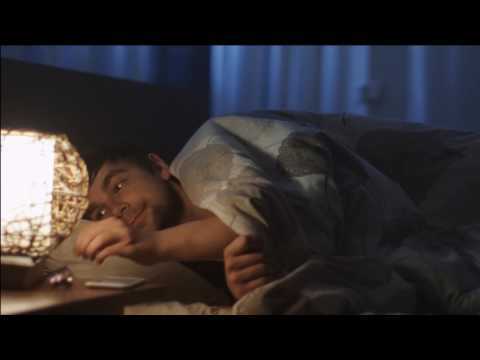 Great to see Boltt provide richer & more enjoyable consumer journey. An interesting range of products for a better charge of one's fitness regime. An amazing AI Ecosystem is a boon to the world of Health and Fitness! Creating a buzz in the fitness equipment market, AI enabled personalised coach can well be a game changer. I have used a lot of trackers. I feel Boltt has started with a unique idea of using the data which was not used by other players till now. Using AI with the data for designing a workout schedule will be really cool and something to watch out for. I am really looking forward to the products. Great to see that rather than just providing metrics like most fitness wearables, it wants to introduce usable guidance through artificial intelligence. The concept is amazing. Loved the idea of smart shoes. The ability to track calories intake and calories burned is amazing. I would love to check my sleeping pattern because I sometimes wake up tired. A perfect combo for those who want to keep a track of their progress. Awesome, looks quite promising not like other bands throwing statistics that really makes no sense apart from the number (steps, distance, calories). Boltt AI feature seems like it's having a personal trainer, that encourages you, that understands you and knows what needs to be done to get you back in shape. The concept and looks are quite teasing! A perfect combination of fitness and style, can't wait to get fit with it. It takes the form of a 'real' fitness trainer in gadget format, that responds to movements and pushes & encourages user's during workouts via mobile applications. With Usain Bolt claiming retirement after clinching an incredible triple at the Rio Olympics, perhaps we can find room for another Bolt, or Boltt, in our sporting lives. Boltt combines sports and wearable-tech in a 21st century bid to help us all get much more active. Artificial Intelligence can make the wearables so much more sensible, for instance, the wearable I am using doesn’t take into consideration the inclination of which I am cycling, a very important piece of information that could make a difference. It will also take into account daily routines and then suggests the users on whether they have to make some amends in their nutrition intake. When it comes to smart health trackers users are often presented with a lot of data to mine, so the 'Boltt' activity tracker looks to help eliminate this additional step. Utilizing AI technology, the 'Boltt' works by providing users with a Virtual Boltt Coach which will keep an eye on things to make sure users are on the right track. Most of the data collected by fitness bands isn’t utilized properly. This is the niche Boltt hopes to fill. As we said in the beginning, most of the data collected by fitness bands isn’t utilized properly. Well, this might just change with Boltt. I like AI pulling my data and other signals than manual intervention of fitness and dietary apps/services/professional. It looks interesting, the smart shoes designed to work out well with B (Boltt AI coach) is giving new goals to break through! AI is doing great things. After much development in the past, it is being put to use commercially & best use case of it will be in medical applications. Health & fitness being closely related here, it is good to see Boltt is not only just tracking things but also improving up on the data being collected else it might add to another dump. Artificial Intelligence is really where the next level of innovation is going to come from and hence, this is an exciting development! I like the way Boltt is taking help of AI in wearable segment. This is a great & innovative idea. 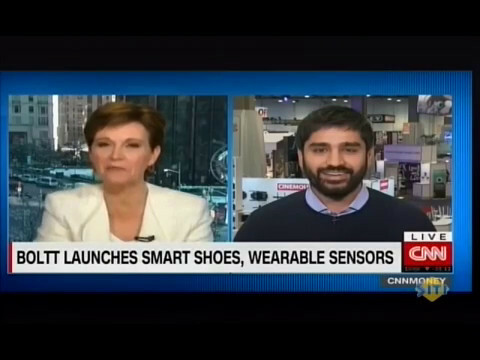 I really like the wearable products especially smart shoes. 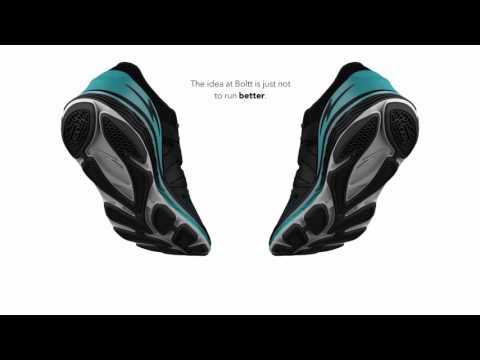 It's going to be interesting to see how well Boltt smart shoes perform and keep track of stats. This is really cool! AI has already proved what it can do. Integrating AI with wearables can work as our personal assistant while we concentrate on daily work. I am really excited as IoT and AI are surely the next big things and being an early adapter its a blessing for Boltt. I was thrilled to see the data accuracy. Another positive thing is the 24x7 virtual coach. As far as the shoe is concerned, the idea is good. It is the most intuitive form of capturing data. It's a great idea to meld fashion and technology. It really brings connectivity in style in a more seamless manner. New technology always builds up new excitement! Boltt with this AI technology looks quite promising! This is exciting how the AI coach adapts to a user’s fitness regime, while learning their behaviour and preferences at the same time, and evolving accordingly. It is definitely a game changer as there many people out there, just like me, who need a constant push and motivation to work out or adopt healthy habits. I'm so done with Fitbit's and Jawbone's. AI is the future. It helps to push the lazy ones (like me) to workout even more since they can mine data and understand my system. If done right, we have a winner. It may not get an immediate success but it will be here for the long run, since we have to educate people about AI and its usefulness and how it is different from normal fitness trackers which can only track and display data! Impressive! 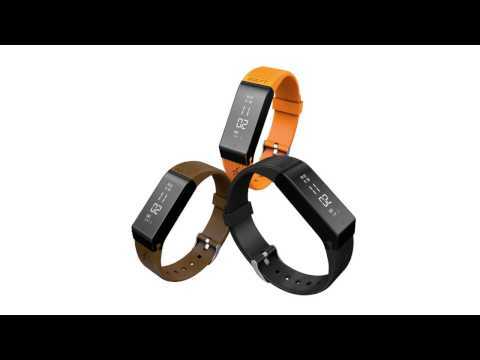 Fitness Band is need of the hour. Everyone must have it to maintain good health. Next is the Shoe, simple loved it. I am really conscious about fitness, so the concept behind Boltt really fascinates me. It will be interesting to see how AI will help me with my fitness. We have used a lot of wearables, but we have never really put the data collected through wearables to use. For the first time, we will see the data collected being put to use. The uniqueness of Boltt lies in the fact, it doesn’t just talk numbers. It doesn’t just tell how much you slept but also how to sleep better. Boltt, with its innovation, aims to explain that it is rather more about the correct choice of food for the correct need of the body. It is about a “personalized diet”, rather than a generic balanced diet! Different fitness goals have different training process! And there are very few who understand this difference - Boltt, with their vast workout library and an Active Voice Coach, is surely an exception! With all their innovative ideas of exploring the field of fitness and training, Boltt indeed appeared to be quite an interesting idea and I immediately wanted to be a part of it! I have been testing the training APP and it is accurate and the Voice Coach is amazing too. It is short of a heads up display, an in ear coach is great. With the complete knowledge of each workout and the useful pre and post workout tips - the presentation of Boltt in itself speaks about its uniqueness. As a personal fitness trainer, myself I believe myself to be equally responsible both off and on the field. And it has been the similarity of this thought that has brought both of us (myself & Boltt) together. If the Boltt Training Application tells you ‘what to do?’ then the uniquely supportive Voice coach tell you ‘how to do it? Boltt runs along the crucial lines of Data and I want my knowledge data analysis to help their innovative idea through the wide range of verticals that they have. The way Boltt understands the power of data and is deriving utility out of it, simply appeared compelling to me to be a part. I was really excited to see the Interactive Health Coaching section in the APP. The coach co-relates sleep, nutrition, activity and analyses hidden patterns amazingly. It has actually been a pleasure to know that the Team quite evidently understands the crucial importance of Behavioural Study and its impact on their project. Always happy to supports such innovations! The main point of difference lies in the fact that Boltt not only does set a healthy lifestyle goal for a user but help them keep up to it by pushing them continuously with a strong “Positive Reinforcement. As a sportsman, I have always been wondering about the lack advancements in sports in our country. Boltt, is surely an emerging solution to the generations following. The disruptive ideas of Boltt definitely has enough potential to bring in a revolution in the field of sports! 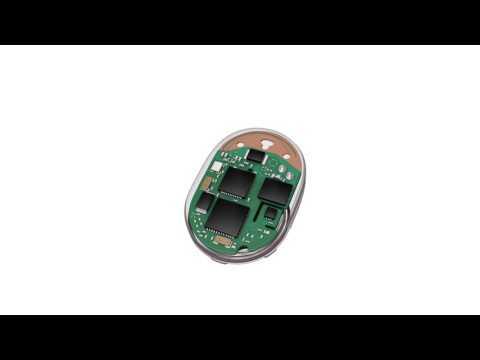 Boltt Stride Sensor's data accuracy was tested against many sensors. The outcome was highly accurate. Boltt foot pod has been tested for all soccer metrics and the data accuracy is great. The only devices available in the market today, to measure sports performance, are GPS trackers which are super expensive and not affordable by everyone. Boltt has a great market for sports academies and sports training in US, Europe, South Africa and India. Insights from collected fitness data has so far been a hole! Boltt, with its fearless ideas seem to bridge the gap! 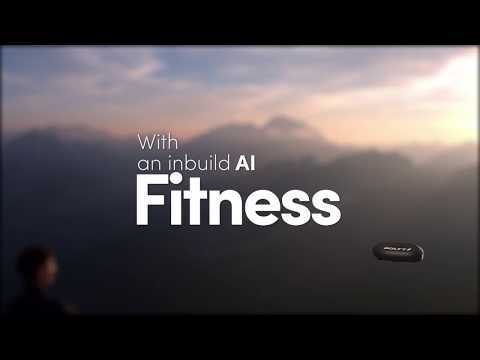 Interestingly innovative intelligence driven connected fitness ecosystem provided to its users. Fascinating features with an innovative designs, Boltt products will be in everyone's wishlist. The concept of Boltt Wearables is amazing. Cannot wait for our participants to wear and train with Boltt. Wearables are in trend and getting Boltt as a Fitness partner for Vadodara Ultra was very exciting for us. It's the idea of Boltt that attracted me. I was amazed, when I came to know about all the features (Sleep, Nutrition, Heart rate tracking, Steps recognition etc). We had a great time marketing the Boltt Stride sensor to our runners. 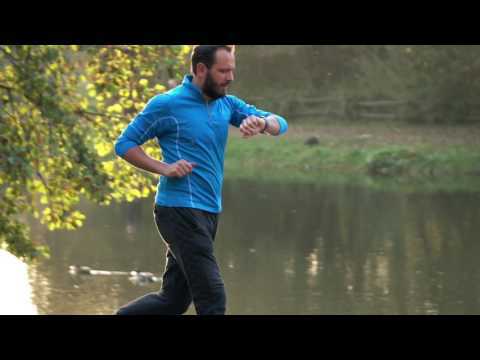 I really like the technology which Boltt has used in their Wearables. Along with that their features specially Voice Coach which is an innovative concept. Boltt has a long way to go. We are were absolutely amazed and excited by the innovations and thought you've put in to your product. The BOLTT product looks fantastic, innovative, ground breaking and exciting. I can see how it could have real benefits especially around injury prevention and provide significant information to medical practitioners to avoid recurrence and onset of injuries.I think you have a product that will be second to none and better than any wearable technology at the moment. The Boltt Stride sensor functionality and the pricing are great. This piece of Wearable Tech can be introduced with other popular Sports brands like Brooks and Asics. The AI enabled Apps give voice coaching while running. The Boltt solution will have a phenomenal acceptance in the US , if placed well. The Boltt products are very innovative and exciting. The running market in the US is huge and we can't wait to launch this in the US. 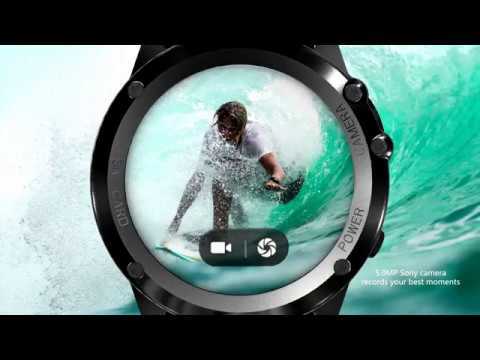 Boltt wearables will have a great selling point in all our channels of sale and Consumer Electronic stores. The price point is very attractive and the functionalities are very superior with interactive features and great differentiation. All our ground sales team is very confident. Boltt opportunity is great in the Europe market. 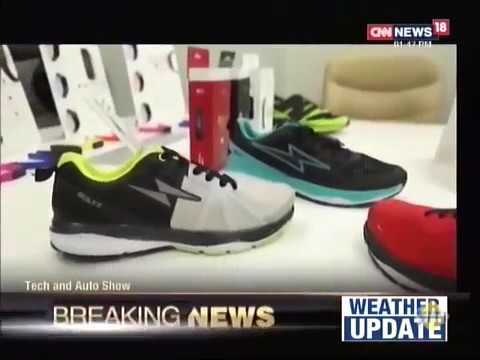 We are particularly interested in the Stride Sensor that can clipped onto any shoe. The price and product proposition is amazing. I think there is definitely an opportunity for Boltt products in South Africa. South Africa probably has one of the most advanced wearables markets, simply because of the fact that our health insurers are driving consumers to where devices (especially ones that measure heart rate) as a means to reduce the risk of claims. Essentially they are driving home a message of exercise as medicine. And the price point that Boltt is at , is amazing and has a great sale potential. 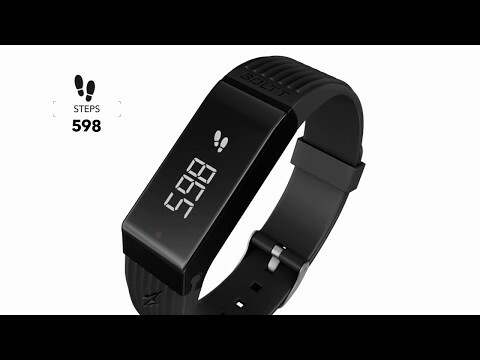 The activity trackers we sell here start at 100 USD plus. Boltt Health App is a detailed app on sleep, nutrition, activity and fitness. There is no one app in the market that brings it all together. Boltt is doing that. Boltt's data tracking is accurate and the virtual health coach is spot on. Our presentations, interviews and updates. BolttCoin: Why should you invest !? We at Boltt, are on a mission to make people live healthier lives, to make a big social impact by using blockchain to improve society’s health. Expert Corner: Practical Tips to Add Conscious Awareness to Your Workout & Have Your Peak Performance! 15.5 Mn BOLTT Tokens are available for Private sales. 16 Mn BOLTT Tokens are reserved for the promoter/founding team, vested over a period of 12 months. 11 Mn BOLTT Tokens are reserved for strategic brand partners. 10 Mn BOLTT Tokens are reserved for the advisory board, vested over a period of 12 months. 6 Mn BOLTT Tokens are reserved for Bounty, Airdrops & other future marketing initiatives. Establishing the company and its affiliates, signing contracts with sponsors, developing legal opinions on all BolttCoin services and platform operations, etc. The cost for country expansion, strategic partnerships, collaborations & tie-ups, in a phased approach. The cost to attract merchants, brands & businesses into the platform, in cooperation with payment providers, site developers, loyalty program service providers and other partners. Marketing spend budgets for platform vitality & user acquisition. Reserves for future growth & other initiates. How can I purchase project tokens? In order to participate in the token sale you need to make payments in ETH or BTC. In order to do so you may create your personal Ethereum or BTC wallet. For creating your crypto-wallet, you can use recommendations from bitcoin.org for choosing your BTC wallet and Ethereum official site ethereum.org for choosing your ETH wallet. Then make a payment in ETH or BTC to the wallet addresses specified in your personal cabinet. Alternatively, you can process your payments via online exchanges or payment platforms for crypto-currencies. Can I pay for the tokens via exchange or some online payment/transfer service? Yes, you can. As far as we accept only ETH or BTC, you may need to buy them for any fiat currencies at crypto-exchanges. While processing the exchange or transfer operation, please, specify the receiving/destination ETH or BTC wallet address provided in your personal online cabinet. Once the transaction is completed, corresponding amount of tokens will be allocated to your personal account. Notice that exchanges and payment/transfer services may apply some additional fees - please, estimate the amount for your transfer accordingly. The tokens will be released for operations after the Open Token Sale is completed and closed (between August 31, 2018 and September 31, 2018). After that you will receive your BOLTT tokens on the Ethereum address/Waves Address you've specified in your profile. If you have not specified any wallet address in the form, you will be able to login to this wallet and specify it then. When will I see purchased tokens at my personal account? After you processed the payment, it may take some time for the transaction to be completed and also for our internal system to be updated. Please note, that transaction confirmation time in Bitcoin and Ethereum systems are dependent on transaction fee you specify. All purchased tokens typically are allocated to your personal account within few minutes after transaction is confirmed. In case you don’t see any tokens allocated to your account in the personal cabinet after standard 24-hour window, please, contact our support team directly. How and where do I store my token? Cryptocurrency is stored in digital wallets. We offer each entity its own wallet , but you can find various sources online for wallets that you can send your Boltt token to. What exactly do I get buying a token? Is it a share in a company? Tokens are not the same as traditional equity. By buying Boltt Token you are owning part of the Boltt Social Health Economy.. Boltt Coin Ecosystem goods & services can be purchased via Boltt tokens. 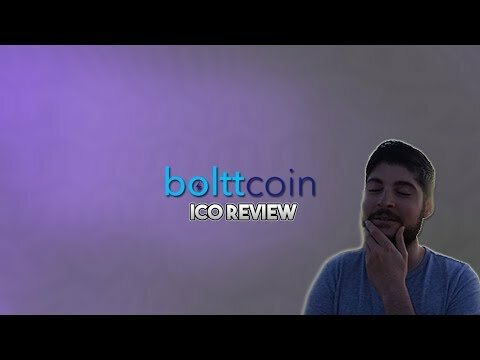 Why do I need Boltt tokens as an investor? Boltt Coins is an asset with a real use.It can be mined by taking more steps. It can be used to purchase goods & services in a partner ecosystem of retailers and merchants. What is the credibility of your company? Our founding team consists of industry veterans and professionals hailing from technology, health, tech and finance. We have an accredited team of advisors and investors of board. Moreover our company is the leading wearable tech player in the market and has a huge active user base on the Boltt Health App. We are launching this ICO, for a new Social Health Gamification platform that we have launched to incentivise users to stay fit. There are various exchanges online such as CoinBase and Kraken, as well as local sources such as https://localbitcoins.net/. 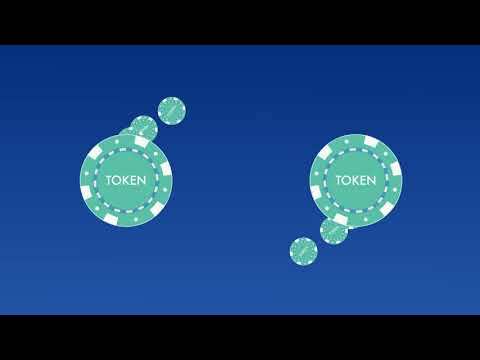 What is a token? What do I need it for? Boltt Coins is our token, and you can mine by taking daily steps. Download the Boltt Coin App, take steps and mine this currency! The tokens can then be used to purchase different goods & services across the In App Boltt shop. How can I pay for a token? You can pay in BTC, LTC, DASH, ETC, ETH, XMR, ZEC or USD (via Credit Card, ACH, check, or Paypal). When will I obtain my token? We will be instantly crediting Boltt Coins into the user’s wallet,once the funds are received from the buyer. What would happen to my tokens if they are banned or strictly regulated by authorities? Boltt Coins are utility tokens, not securities, so they are not regulated. How likely is it that your tokens' price drops after ICO? This is a fair market, and there are many dynamics which are impossible to predict, but we expect the token to have positive momentum. What could be key positive/negative factors impacting the token's price in the future? There are many factors, included legal, market, and technical risks. Please see the Risk Factors section of our white paper for a more in-depth analysis. What is the legal structure of owning a token? Every buyer of tokens signs a token purchase agreement where all the terms are outlined. We are a unique product solution and hence do not have direct competitors. But we do have a competitive advantage over other ICOs. Our product is already out there in the market, with great traction and customer validation. We have 25K retailers on board selling 1 Mn products using Boltt Coins. Why is your idea revolutionary? Boltt Coin is the first every digital health currency! It is a platform that is gamifying health and making fitness exciting! All you have to do is, take steps and you can mine the currency. The currency can be used for a host of things like purchase of goods & services in the partner ecosystem. Retailers and brands can also give loyalty benefits linked to this currency. How do I utilize a token inside your system? Tokens can be used for purchase of goods & services in the partner ecosystem.Retailers and brands can also give loyalty benefits linked to this currency. Insurers can give discounts on premium via Boltt coins to users based on health. And there are plenty of more use cases. For more info, please read our white paper. What does Boltt Coin earn on? Boltt coin takes a maintenance fees for hosting health & fitness challenges, it takes a commission on the goods & services transactions. And it will become an important means of advertising by brands and corporates. So Boltt will also have advertising revenue. I have always been a sports enthusiast. Being an international tennis player at a very young age, I’ve always had a passion to create something futuristic and unique for sportsmen and fitness enthusiasts. With the same conviction, I co-founded Globalite Industries Pvt Ltd, at the age of 18. Combining my passion for sports, technology and entrepreneurship,I am now exploring the world of wearable technology and heading the Boltt Sports Technologies Pvt Ltd, an innovative wearable tech company, with the ambition to transform health, fitness and sports. Saahil Goel is Co-Founder and CEO of Kraftly.com India's only C2C mobile marketplace. Kraftly aims to empower millions of Indian sellers to launch their products online. It wants to bring buyers in direct connect with such sellers and also wants to make available the largest inventory and variety in lifestyle category products. He also oversees product development (and is a co-founder) at Kartrocket.com - an end-to-end ecommerce enablement platform which aims to bring small retailers and Indian SME's online and sell under their own brand. KartRocket offers a robust and easy to use platform that is geared up for the Indian market and offers several unique features such as integrations with eBay and Amazon, a real-time shipping and courier service and beautiful web and mobile store fronts - at an affordable price for Indian merchants. In the past, Saahil has worked with companies such as Max New York Life, Religare Insurance Broking, Bayer North America, Wal-Mart and Highmark Blue Cross Blue Shield. Saahil has worked as a systems architect, business analyst and management consultant in industries spanning life and health insurance, material sciences and retail. During his past experiences, he has worked in areas such as care management process optimization, member clinical risk identification and stratification area of health management. On the technical side he has worked with technologies such as Identity and Access Management Systems, Role Based Access Control and Identity Workflow Engine. He has also worked as a Product Manager for Accounting and Cash Management Platforms. Other experience include Wal-Mart Stores Inc. at their headquarters in the Enterprise Risk Management division as a Business Continuity Planner and Bayer Corporation- Demand-driven Service Level project to enable cost rationalization. He has a dual degree - MBA and a MS-MIS degree from the Joseph M. Katz Graduate School of Business, University of Pittsburgh, Pennsylvania, USA. Anupam has thirty years of work experience across industry verticals and geographies. He is a highly regarded leader with demonstrated experience in managing businesses, helping global organizations in establishing and expanding their business operations in India. His areas of expertise include market entry, globalization, operating models, M&A/JV, and HR & Organizational transformation. His specialization and sector experience ranges from Technology &Telecom to Fintech, Health & Wellness, and Infrastructure. Anupam's skills, that make him highly sought after by clients, include lateral thinking, challenging status quo, building an amazing network of long-term relationships and being able to seamlessly work with leaders from multiple cultures and backgrounds.Anupam has worked in leadership roles with leading conglomerates- both national and global and with consulting firms as a global partner. His last job was as the CEO of and one of Brazil's leading Engineering and Infrastructure firms. Till recently, Anupam was Chairman of Truworth Wellness, India's largest provider of H&W services to the corporate sector. Anupam recently set up The Guidant Group, a market entry specialist, that assists global organizations enter, establish and scale in India. Guidant also works with Indian Promoters of establishing and emerging firms to help them think-through to the next level in-terms of business expansion, capitalization and internationalization During his career, Anupam has helped more than 60 firms with market-entry and cross-border projects. Anupam is a permanent consultant with The World Bank, has done projects in more than 30 countries, and assisted governments with country-branding initiatives, location attractiveness strategies and macro level skill development projects. Anupam serves on several Statutory & Advisory Boards of Indian and International Firms. Mr. Gurdeep Singh has been an Executive Director at Reliance Telecom Limited since October 2, 2017. Mr. Singh has been the Co-Chief Executive Officer of Reliance Communications Limited since September 30, 2016 and served as its Chief Executive Officer of Mobility Business. He has 29 years of experience in sectors like telecom, home appliances and consumer electronics. He served as the President of Consumer Business and Member of Management Board at Reliance Communications Limited and served as its Chief Executive Officer of Consumer Business since February 2014, Chief Executive Officer of Wireless Business since May 2012 and President of Wireless Business since May 2012. He served as the Chief Operating Officer of Aircel Cellular Limited and Aircel Limited until January 2012. He has served in Vodafone (Hutch) as Director of Operations for the Northern region for about five years. Mr. Singh is an alumnus of BITS Pilani. Mr. Rajesh Bhatia has been the Chief Financial Officer of Uflex Limited since September 1, 2017. Mr. Bhatia has been Group President of Finance and Accounts at Uflex Limited since September 1, 2017. Mr. Bhatia served as the Chief Executive Officer of Global Business and Executive Director at Jindal Steel & Power Limited until June 27, 2017 and its Group Chief Financial Officer from November 22, 2016 to March 31, 2017. Mr. Bhatia served as Finance Director of Oswal Greentech Limited (formely Oswal Chemicals & Fertilizers Limited). Mr. Bhatia has a vast experience in the field of Finance, Accounts, Taxation, Administration and Commercial activities spreading over 28 Years. Mr. Bhatia has played an important role in JSPL's overseas acquisitions in Indonesia, South Africa, Mozambique, Madagascar, Mongolia & Oman, apart from arranging financing for greenfield expansion in Orissa and Jharkhand in India. He serves as Director of Universal Projects FZE and Oswal Engineering Ltd. Before joining JSPL, Mr. Bhatia worked with companies like DCM Shriram Industries Ltd. (DCM Group), Jindal Power Limited, Reliance Industries Ltd., Stracon India Ltd. and Dalmia Cement (Bharat) Ltd. He serves as Director of Jindal Steel & Power (Mauritius) Ltd. He served as Director of Oswal Greentech Limited from November 5, 2005 to March 4, 2008. He served as a Non-Executive Director of Rocklands Richfield Limited from May 31, 2010 to September 14, 2012. He served as Deputy Executive Director of Dalmia Cement (Bharat) Ltd. He is an Associate Member of Institute of Chartered Accountant of India. He holds B. Com and CA. Co-Founder & Chief Strategy Officer. Former President & Partner SSIPL Lifestyle. Lalit Kishore, Former MD of Lotto India Sports Lifestyle (LISLPL), the master franchisee of the Lotto Sport brand in India, has soft-launched his own sports and lifestyle shoe brand Globalite to fill what he perceives as a void between international and local brands. The Globalite brand will target middle segment urban youth who aspire for international. Aayushi Jagasia is the Chief Marketing Officer and Co-Founder of BOLTT Sports Technologies Pvt. Ltd. A sports and a fitness enthusiast, Aayushi, with her comprehensive and deep knowledge about the global market, is leading a team towards developing a strong position for BOLTT in the Indian industry. With a robust experience in product development, retail/online operations and branding and sales, Aayushi’s strengths lie in consumer and product segment, market intelligence, product and market development, communications, sales force effectiveness and strategic planning. Aayushi graduated in Economic Hons from Sri Ram College of Commerce, who went on to pursuing an Executive MBA from Harvard Business School. Founded in 2014 at Harvard University, Nucleus Vision is an end-to-end technology solution that captures and provides previously unaccessed data to retailers and other ‘brick and mortar’ businesses through its proprietary blockchain and real time sensor technology. The solution that Nucleus Vision has built, has ION Sensors deployed in live retail establishments, which support a valuable data network for unique visitor IDs and corresponding user data. The proprietary IoT sensor technology doesn’t depend on any RFID, WiFi Bluetooth, or even facial recognition technologies to operate. Nucleus Vision has been in operations in India for more than three years, working towards achieving its goal. After raising India’s largest token sale, Nucleus Vision brings the brightest technological minds in the country to co-create a next generation, homegrown blockchain protocol that is tailored to Indian needs and privacy in a bid to demonstrate India’s strength in technology development and added-value to the global blockchain ecosystem. The company is backed by prominent blockchain-focused investment firms including Alphabit Digital Currency Fund, FBG Capital, Kenetic Capital, Turiya Ventures, BlockAsset, Tim Draper, Reliance Capital, IAN Balina and more. Telecommunications partners include Vodafone, Reliance Communications and Idea Cellular. As a crypto investment bank we empower visionaries of the decentralized world with the fuel for a smooth moonshot journey. We are driven by the belief that no great idea deserves to die due to lack of resources. At Almora we believe that decentralisation is a new way of governing people, digitalising trust and decision making. We are trying to bring all those people, artists, technologists, hippies, marketers, researchers, radicals together towards a common cause. We are the sect of people who want to bring power back to the masses. Together! Mirach Capital Group & Family Offices. Mirach Capital Group is a group of family offices operating in the arenas of Healthcare, real estate, aviation, and entertainment. At Mirach Capital, our strategic approach to wealth creation and preservation is the cornerstone of our business. We have achieved our success by careful analysis, sound valuation techniques, and innovative strategies. Our global professionals specialize in the management and acquisition of exclusive trophy assets. Leading technology and creative innovation, Mirach Capital Group seeks to cultivate unique experiences in hospitality and entertainment. Jen Greyson, CEO at Neureal AI. The K Block is a group of private investors, who have previously invested into several successful projects such as Ethereum, NEO and ICON. The K Block is based in South Korea, which is one of the early & core markets Boltt Coin is looking to target. The health and wellness market in South Korea has been achieving continuous growth. And Korea is also set to become one of the first Cryptocurrency Powered Nation. This means that it could be one that has widespread adoption of cryptocurrencies and can serve as a global hotbed for crypto-innovation and run enterprise-grade scalable blockchain infrastructure. Together with local partners, such as The K Block, Boltt Coin is all set to gain market share in this core market. Dropped out of Harvard Business School to launch Nucleus Vision (formerly BellBoi Inc). Nucleus Vision is an IOT based customer identification platform that allows brick-n-mortar retailers to identify any customer who walks into a store, in real-time, using Nucleus Vision' proprietary ION sensor technology. Nucleus Vision’ ION sensors don’t depend on any RFID, WiFi or Bluetooth, or even facial recognition technologies to operate. Nucleus Vision empowers brick-n-mortar retailers with digital intelligence that was till date only limited only to online e-commerce experiences. Nucleus Vision has built the world's first IOT based contactless identification system (over blockchain), while building the largest universal loyalty program using crypto-currency. Seasoned ICO Advisor, Entrepreneur, Investor, Blockchain & Cryptocurrency Enthusiast with extensive knowledge and experience in Bitcoin/blockchain, cryptocurrencies, ICO’s and disruptive technologies. Being one of most successful and influential young entrepreneurs, Brian is an early investor of Bitcoin and a passionate cryptocurrency and blockchain advocate who has amassed over 1 million followers on Twitter where he shares future promising ICOs and helps companies connect with their audience He is currently the ICO Advisor at Viola.AI, Savedroid, Trade.io and BEAT token. Viola.AI harness on artificial intelligence and blockchain technology to develop a lifelong relationship advisor named Viola to create successful and happy relationships. Brian is also the Editor-­‐In Chief at Revista Bitcoin, a Spanish speaking magazine dedicated to Bitcoin, Ethereum and other cryptocurrencies. He became deeply intrigued by blockchain technology & disruptive business models. He offers consultation & advisory services for projects launching cryptocurrency offerings. Skilled in ICO promotion, bounty campaigns, marketing, and business strategy & relations. He is also interested in Pre-­‐ICO deals. One of most influential young entrepreneurs, Brian is a passionate cryptocurrency and blockchain advocate who has amassed over 1 million followers on Twitter (@BrianCondenanza) where he shares future promising ICOs and helps companies connect with their audience. This February, Brian participated of The Youth Assembly at the United Nations Headquarters in NYC, with the role of Delegate. He is open for non paid positions with non profit organizations that would like to implement blockchain solutions. Ian Scarffe is a serial entrepreneur, investor and consultant with business experience from around the world. A leading expert in Bitcoin, Blockchain and Crypto industries, Ian is at the very heart of revolutionizing the financing industry across the globe and currently consults and advises for a range of multi-­‐million dollar companies. Ian now focuses on the Blockchain industry and offers advice, consulting services, connections to Blockchain experts and investor relations strategies. Ian Scarffe has outstanding entrepreneurial skills and commercial acumen with innovation and motivation. With the capacity to work at strategic levels, Ian possess exceptional interpersonal, communication and negotiation skills. 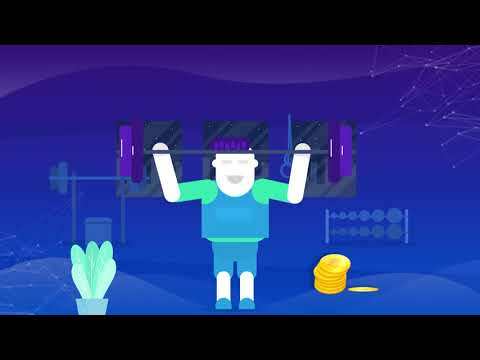 ICObench is an ICO rating platform supported by investors and financial experts. Ian Scarffe is an ICObench rated expert, at a global rank of #3. Ian has worked with high quality, dedicate Blockchain companies that have a proven track record and are credible funding propositions. He is supported by a broad base of funders who include: Blockchain Angels, Blockchain Investors and Funds, Accredited investors, Institutional Investors, Venture Capital Firms, Business Angels and Syndicates, Family Offices, Corporate Venture Funds and Ultra high-­‐ net-­‐worth individuals. #27 in 100 Most Influential Blockchain People in the world Warren advises corporations and entrepreneurs on strategies needed to take advantage of digital media tools and online opportunities that drive growth and profits. His current focus is blockchain, a technology that will disrupt most traditional business. He advises enterprises on ICO, e-commerce, martech, new media, and the future of marketing. He is best known for writing the first book about Twitter “Twitter Revolution,” he explained how mobile technologies and social media would revolutionize marketing and business. These trends will continue for decades. He is the CEO and Founder at Ochen Publishing. It is a publisher of Blockchain and Crypto ICO site CoinHash.co, Ochen.com, and other future facing properties. Named one of the Top 8 Women in Crypto, Jen Greyson of the Neureal Network and CEO of Powered by Neureal℠ brings decades of executive leadership to the blockchain/crypto space. Prior to joining the cryptocurrency/blockchain community, Jen managed a multi-­‐million dollar life insurance company during a highly lucrative and chaotic run-­‐up of the industry, as well as managing morale, forecasting, and finances during the impacts of AIG’s multi-­‐billion dollar crash, giving her a unique comfort level of leading from within the volatility of cryptocurrency. For the last decade, she specialized in intellectual property, working intimately with both NYT bestselling clients as well as smaller first-­‐time movers into the publishing space to create, systematize, and deploy new income streams. Clients include New York Times and USA Today bestselling thriller, mystery, and fantasy writers, as well as international speakers, business coaches, and serial entrepreneurs. With over two decades of experience building and maintaining entrepreneurial organisms, from startups to established partnerships in numerous industries, her involvement at the onset of new development has repeatedly generated millions to bottom line. Senior engineer and blockchain entrepreneur focusing on technologies for sensitive medical data sharing. Former CEO of cerebro, cloud platform for large-­‐scale imaging analyses for clinical trials, founder and CEO of gnubila, data privacy solution designer, Head of Research and Innovation at Almerys, healthcare delivery data management company managing uniting 230.000 professionals and part of My Health My Data consortium, EU leader in blockchain for healthcare solutions. Currently CEO of Be-­‐Studys. Be-­‐Studys is a research and innovation company specialized in adapting/adopting disruptive technologies, e.g., big data, blockchain and deep learning across all market sectors. Be-­‐ Studys enables digital transformation. It provides an acceleration platform encompassing: ano/pseudo-­‐nymization of sensitive data, full traceability preservation, secure transactions, advanced analytics and visualization, as well as a production environment. Founder and CEO of 2 software vendor companies in data privacy/science, and Founder and President CEO of a digital transformation company. In parallel, he is developing a new business model for healthcare and humanitarian sectors using blockchain, ICOs. Bogdan is a full stack developer and entrepreneur. Since the beginning of 2016 he has been involved in "Smart Contract" design and implementation for Ethereum, using Solidity. He is knowledgeable in all aspects of e-commerce website, back-end and front-end. He is experienced in setting up network environment, running and maintaining servers. He is experienced in supervising teams of developers, preparing technical design documents, preparing testing plans and integrating existing applications with newer technologies. He is a ranked advisor on ICO Bench-­‐ one of the most important and leading platform that reviews, analyzes and presents the best ICOs, teams, experts and advisors coming internationally form the Blockchain and Cryptocurrencies industry. Emergent Technology CTO | Global Strategy Advisor -­‐ FinTech Blockchain AI |Intrapreneur | Speaker and Author | Research Forbes Technology Council, University of Oxford -­‐ Said Business School Sally is recognised as a thought leader in emergent technology (Blockchain, AI, Machine Learning, VR/AR), intrapreneurship, online media and navigating digital disruption. She holds a number of directorships, is an international events speaker, an established author and has cultivated a highly engaged and cross-­‐sector network both in person and across all leading social media channels. She is an Official Member of the Forbes Technology Council. Forbes Technology Council is an invitation-­‐only organisation comprised of leading CIOs, CTOs and technology executives, hand-­‐selected by the Council's selection committee. As a member, she contributes to Forbes on topics related to Technology (especially blockchain and AI), Digital Innovation, FinTech, Leadership and Global Strategy Advisory. She has founded many Technology Disrupting companies in the field of AI, Blockchain & healthcare. She was the Co Founder of Project Shivom. Shivom is spearheading The Next Era of Genomics and powering the transition to value-­‐ based precision healthcare. Their focus is on the transformational convergence of OMICS technologies with blockchain, artificial intelligence, machine learning, and cryptography to enable secure and personalised medicine with global scalability. Mr. Anantshree Chaturvedi is the CEO at UFLEX Group and Vice Chairman at Uflex Ltd. Uflex is the leader in the worldwide packaging industry with customer base of all large FMCG brands, which include, but are not limited to, Coca-Cola, Frito-Lay, L’Oréal, Nestle, P&G, Amul, and more. Mr. Anantshree Chaturvedi has now joined BolttCoin’s board as an advisor, to help in the development and implementation of BolltCoin project and offer his input with regards to BolltCoin’s growth plan. Given his insights & experience, it will help BolttCoin in boosting its efforts to promote the cause of health, as well as give back to society, through hosting sponsored challenges on the BolttCoin App, as well as an opportunity to work with UFlex customers over time. He’s a gifted writer from Nashville, TN, who focuses on cryptocurrencies and blockchain technology. He has written some great material on Blockchain, cryptocurrency, global political affairs, and among other things. He has built a successful thought leadership around these topics and has been able to influence community with his writing. Portfolio: https://bitcoinmagazine.com/authors/colin-harper/ https://coincentral.com/author/colin-harper/ He Write articles on cryptocurrency news, blockchain developments, and the cultures surrounding decentralized, distributed system for BitCoin Magazine. https://bitcoinmagazine.com/authors/colin-harper/ He has also been a News Editor at Coin Central. He write informative guides on cryptocurrencies/crypto platforms and report on blockchain news and developments, edit news related content. He has also been a contributing journalist at CCN, providing op-eds and news articles on crypto-related topics. He's an entrepreneur with deep experience in technology consulting for some of the largest companies and fastest growing startups in the world. He is also a blockchain consultant and cryptocurrency enthusiast and occasionally writes about the topic on CoinTelegraph, Medium and Forbes. On the side, he likes to invest in early-stage technology companies that have a demonstrable product in the marketplace and are both innovative and highly disruptive. The culmination of his experience allows him to pursue my passion working with exceptional clients to provide market leading technology consulting and software services, while pursuing investments in startups and cryptocurrency. He has been the Co-Founder of market leading blockchain consulting and mobile app development agency in Los Angeles. ISBX serves a diverse range of globally recognized brands including Apple, Nike, L'Oreal, Warner Brothers, Lexus, and Red Bull.ISBX is four-time ranked by Inc. Magazine as one of the fastest growing companies in the nation He is contributing writer at Forbes.com. He covers topics related to cryptocurrency, software technology and development. He is also an author under the Expert Blog category at The CoinTelegraph, one of the leading cryptocurrency news publications on the web. ISBX has a passion for solving the world's educational gap by innovating in the field of EdTech. We've helped educators and companies launch award winning educational iPad, Android, Chromebook, and Web apps. With a diverse array of expertise across 60 technology professionals, the ISBX team has been building the best software in the world since 2003. EL Group is a award winning creative & strategy firm that builds the brand of tomorrow. With world class talent we engineer some of the best digital projects and build technology of the future. Our expertise in blockchain technologies include solutions such as Smart Business Contracts, Automated Lottery Systems, Customer Loyalty & Rewards System, Real Estate Contract Management Systems and much more. Helping businesses in multiple industry domains to create new business models with smarter and more secure DApps built on top of blockchain technology. We believe in bringing sensible life to things, they need to become intelligent, smart and expressible of themselves and open a new door of possibilities in the current digital world. We believe in real world connections, emotions and experiences. We believe that the right IoT technology, brought together in the right way, has the power to make the most of that world.Lewiot collects, manages and applies real-time data from smart products and smart packaging to drive IoT applications. KartRocket is India's most trusted eCommerce software platform that empowers SME’s, small retailers & entrepreneurs to start their own business. KartRocket is an end to end eCommerce solution with all the features required to create an online store, run & grow an online business. From payment gateway integration, stunning ecommerce store with mobile responsive designs, mobile app to manage your store and automated shipping solution.